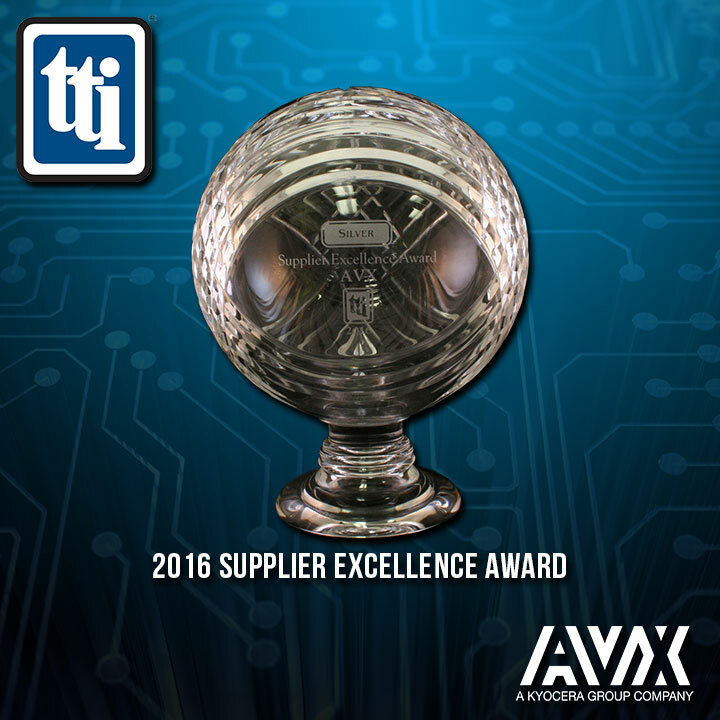 AVX Corporation, a leading manufacturer of passive components and interconnect solutions, has earned the TTI Supplier Excellence Award in the Americas region — for the third consecutive year. Bestowed by TTI, Inc., an authorized, specialty distributor of interconnect, passive, and electromechanical (IP&E) components, the TTI Supplier Excellence Award recognizes AVX for having successfully fulfilled several key quality performance metrics designed to elevate supplier and distributor performance, and provide maximum customer satisfaction worldwide. Representing the highest possible recognition of a supplier’s performance with regard to quality acceptance, ship-to-commit delivery date, effective business systems, ease of doing business, and both the quality and efficacy of field employee and management relationships, the 2016 TTI Supplier Excellence Award honors AVX for its superior execution of the following performance metrics: on-time delivery, receiving quality, customer-reported quality, administrative quality, operations and business systems, and sales and management support. For more information about AVX, please contact us.